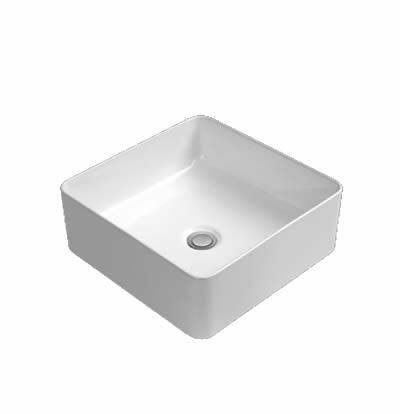 The Levi Vessel is an ultra-modern basin that will transform any bathroom into a more modern one. 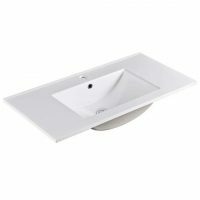 Available in a sleek square shape with soft corners, Levi Vessel is a top-mounted basin that has been designed for easy installation onto any vanity or bench top. The Levi Vessel measures 360x360x125mm in dimensions. It does not include a tap hole and the waste for this vessel basin is sold separately. Experience the perfect mix of versatility and good looks with the Levi Vessel basin. While it offers stylish looks, it is also very easy to clean and maintain. The design of this basin will complement modern bathroom accessories and fittings perfectly. The Levi Vessel is manufactured out of top quality ceramic and is a superior grade product that is built to withstand the test of time. It exhibits superior artistry and displays the highest standards of quality. 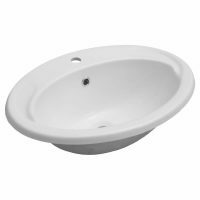 For attractive, ultra-modern bathroom basins in Perth, you’ll find nothing better than the Levi Vessel available from Ross’s Discount Home Centre. 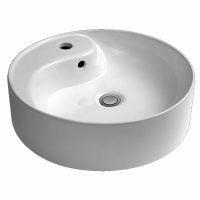 Shop from our online store to purchase this top-mounted vessel basin at the most competitive price in the market!